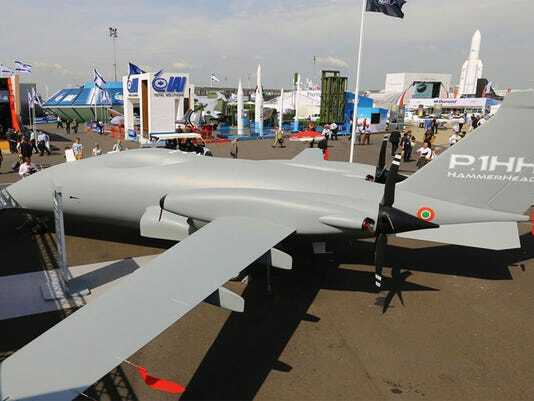 FARNBOROUGH, England — Deliveries of the Piaggio Aero P1HH UAV to the Italian Air Force will be delayed by two months following the crash of a prototype in the Mediterranean in May, the firm said at the Farnborough Air Show on Thursday. 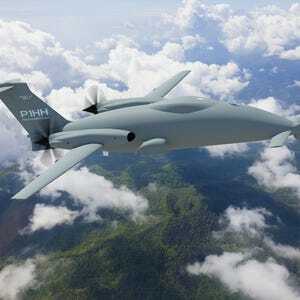 The P1HH, or “Hammerhead,” is an unmanned version of Piaggio Aero’s P-180 business jet, which has been ordered by Italy and the UAE. Test flights organized with the support of the Italian Air Force from Trapani in Sicily were halted when a prototype crashed into the sea on May 31, and the firm said it was awaiting the go-ahead from Italian authorities before resuming test flights. At the time of the crash, Piaggio Aero suggested the UAV would be recovered, but on Thursday a spokesman said the decision to recover the wreckage had still not been taken. “As this was a prototype, we have recorded a considerable amount of data through the ground station and associated test devices,” the spokesman said. An Italian source said that the second of the original prototypes had been flown from Trapani to the UAE aboard an Ilyushin 76 on the same day as the crash, just hours before the incident. Although the Italian Air Force has supported the trials, a Piaggio test pilot was at the controls when the prototype crashed, the source said. Italy-based Piaggio Aero is controlled by Mubadala, an Abu Dhabi-based strategic investment firm. In March, the UAE signed a $350 million contract to purchase eight of the UAVs. Piaggio Aero has said the Italian Air Force would be the launch customer this year. Details of deliveries to the UAE were “subject to customer authorization,” he said. The spokesman dismissed as “pure speculation” Italian media reports that the UAV’s crash was due to sabotage. “The internal task force set up by Piaggio Aerospace – in cooperation with the relevant authorities – is still working and has not produced a final report yet. 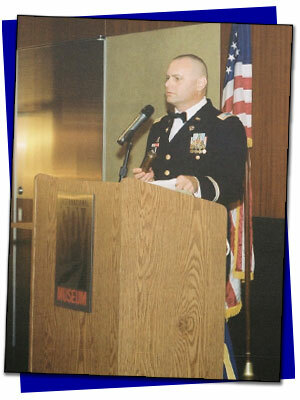 We are also waiting for the outcomes of the survey being prepared by the Italian Air Force,” the spokesman said.